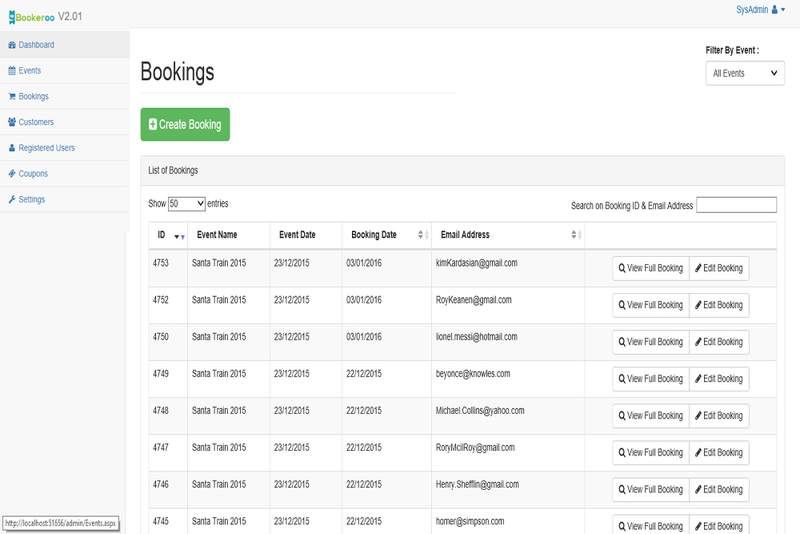 Bookeroo - Online Bookings Made Simple! Bookeroo is a multi-function online booking platform that streamlines and automates all aspects of the management of bookings and reservations. 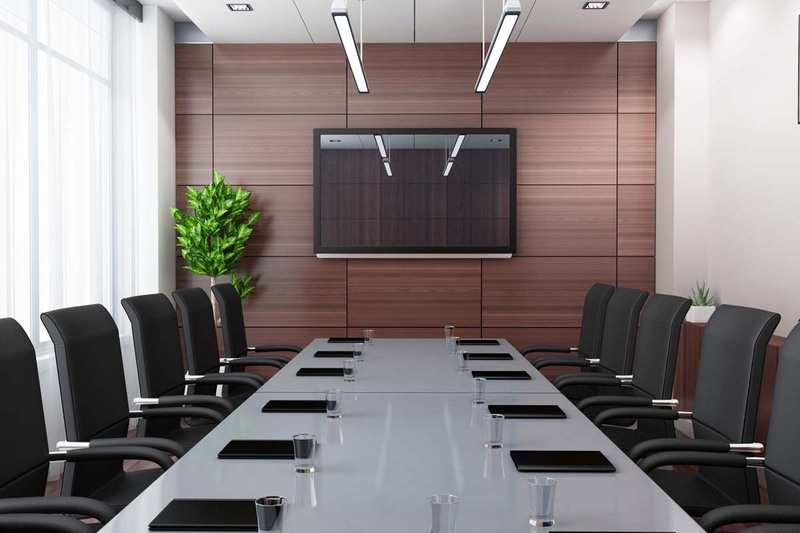 It can cover event management, appointment scheduling, reservation for classes & training to mention but a few of its possible applications. Bookeroo is packed with plenty of innovative & useful features that makes it super flexible! Bookeroo runs 24 x 7 x 365 meaning your doors will always be open for bookings. No more taking phonecalls at all hours of the night as Bookeroo can handle bookings and process payments for you while you sleep! 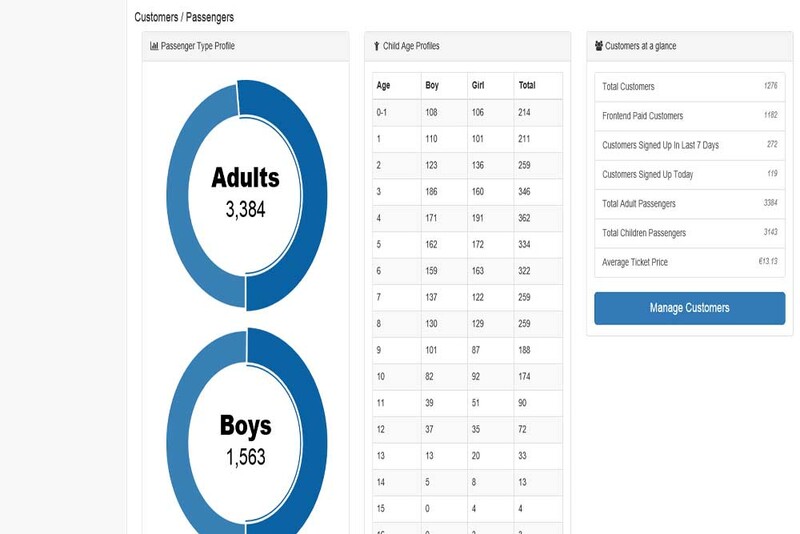 Both the front end (booking flow for customers) and the backend (admin section) are fully responsive. That means they are optimised for all screen sizes (desktops, tablets, phones) so it is easy to use on all platforms. Bookeroo caters for multiple events running in parrallel. 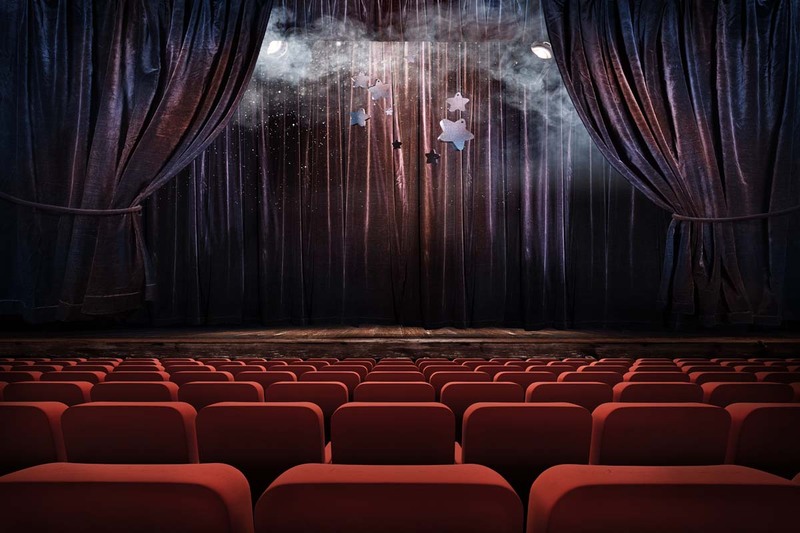 So let's say you're putting on a show, and have an evening and matinee show - we've got you covered. Different events, differnt venues, different prices - no problem. We're extremely proud of our streamlined booking process. 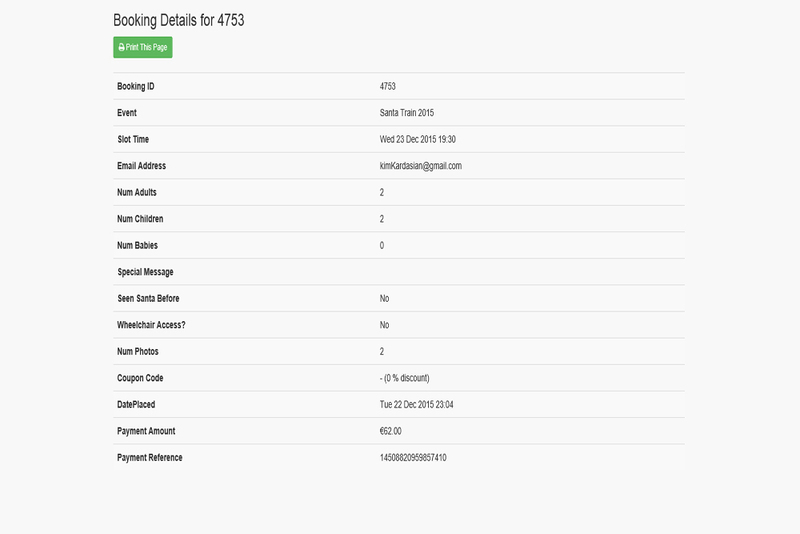 We've removed as much friction from the booking flow as possible but kept the functionality there. When somebody makes a decision to make a booking on your site they will be able to do so very quickly & easily. We will host your booking application on our secure servers in Dublin, however we will integrate your website design into our booking template for you so that your customers will feel they are still on your site and your branding will remain. 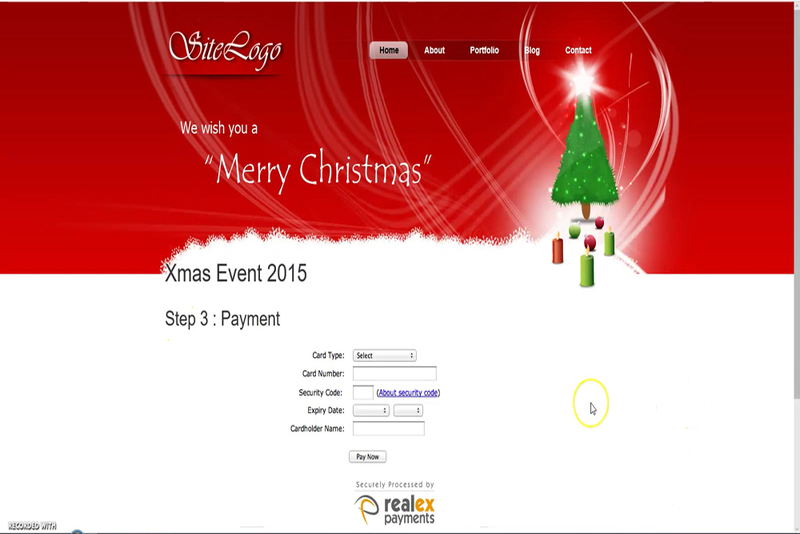 Customers will receive email confirmation immediately after the booking has been submitted. This email will contain their booking reference and will serve as their ticket for the event if required. 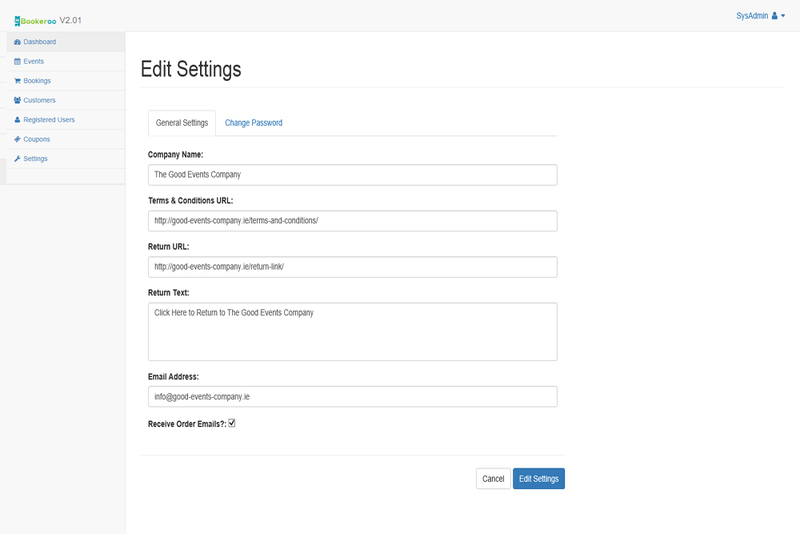 Bookeroo can also be configured to email customers with a reminder the day before the event. We've built in Realex and PayPal payment gateways into Bookeroo to process payments online. We've also made the payment flow streamlined and intuitive. 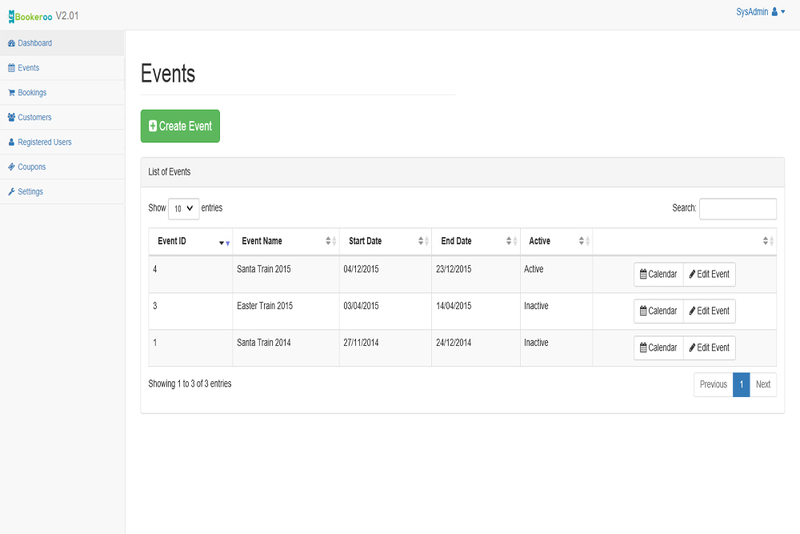 Manage your events and bookings from our comprehensive admin section. 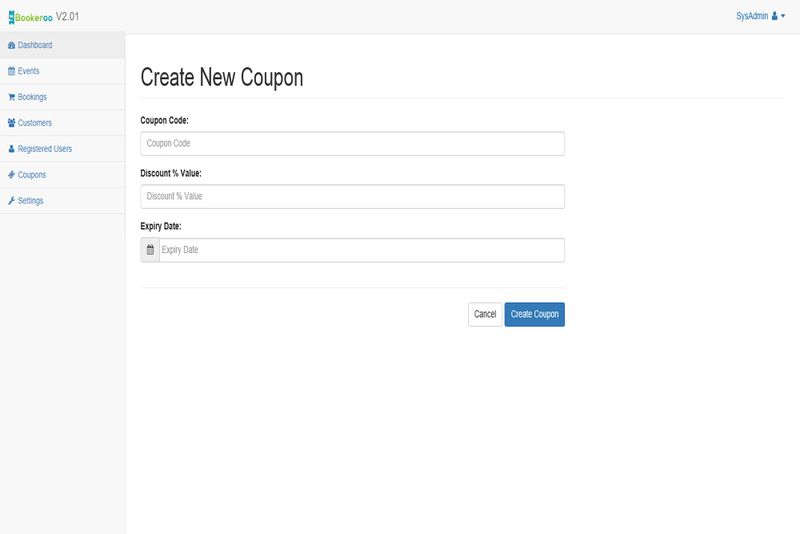 Create events, view bookings, manage calanders, view customer information, print off attendee lists, create coupons and view reports. 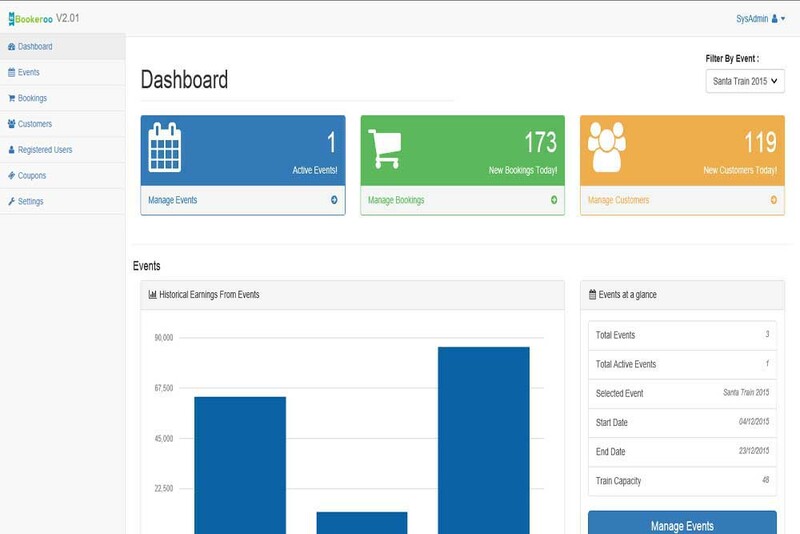 We've made the backend extremely easy to use and easy to navigate. Bookeroo has loads of features off the shelf but if your requirement is more bespoke - that's no problem. 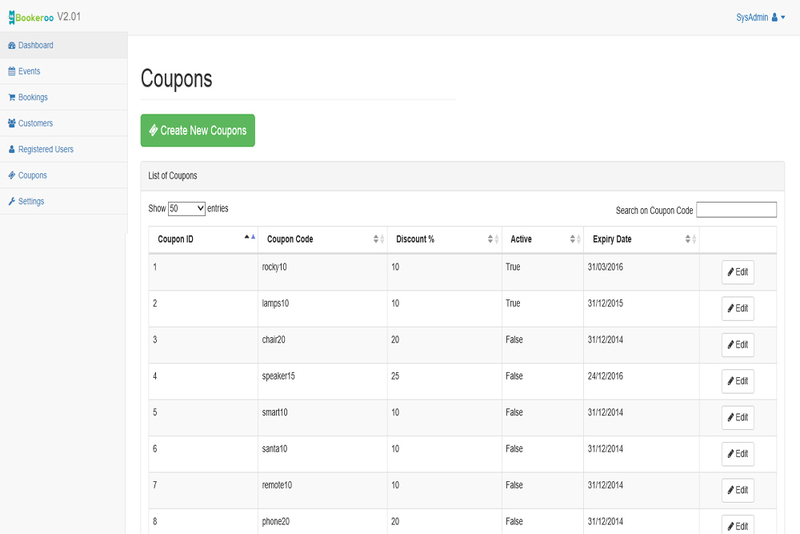 We can work with you to add custom functionality on top of the base Bookeroo engine. We understand that some events should be opened to the public and some restricted to registered users (e.g. staff parking, meeting room booking, locker reservation) and that's why we have built in registered user support into the latest version of Bookeroo. A user needs to be added by the admin, they will receive an email to activate their account and supply their details online before they can logon to make and manage bookings. Of course you can choose to leave your events open to the public also. Your installation of Bookeroo will be hosted on our secure servers. Your existing website (and if you don't have one, we can help you there too!) will link to your Bookeroo installation and we will ensure that your design will be incorperated into the booking template - so your customers will experience the same look & feel of your own site. Once the booking has been made, they will be redirected back to your site (or wherever you want). 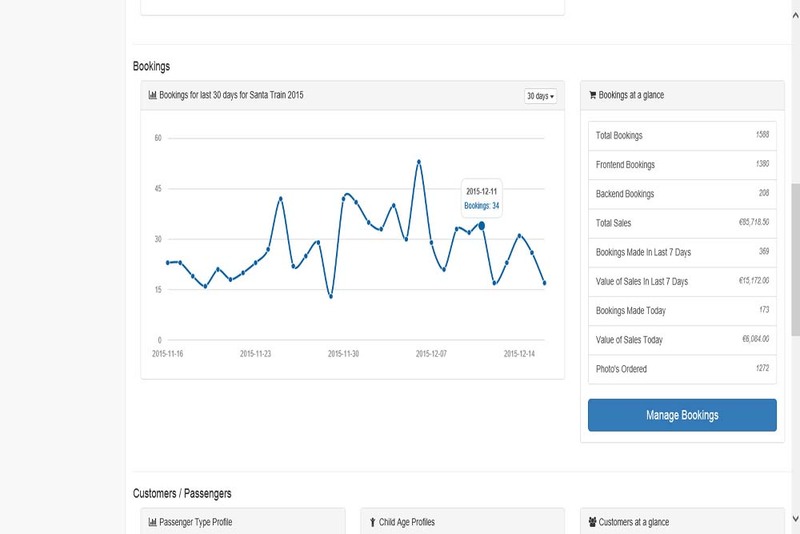 We have developed a comprehensive dashboard filled with charts and stats so you can get a sense of how your bookings are looking at a glance. 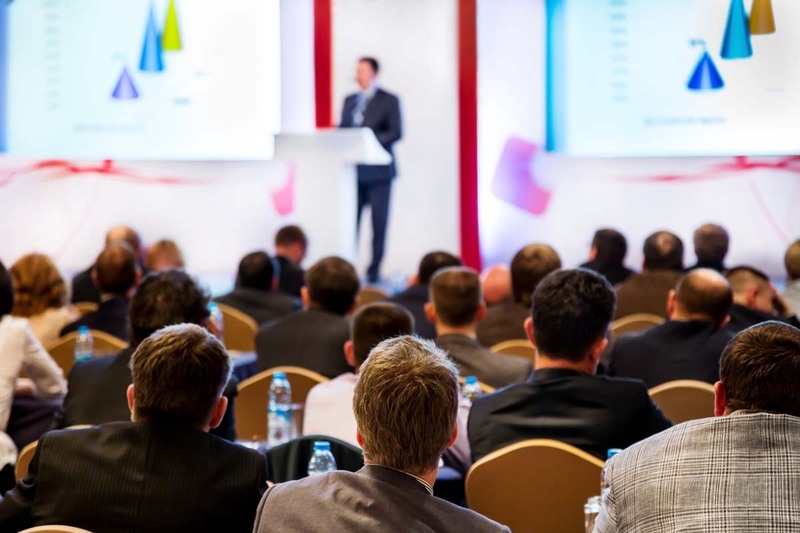 View your revenue, your booking trends, the demographics of your attendees. View this information by event or overall. This gives you a great insight into how your events are performing. Below is just a sample of some of the applications that Bookeroo can be used to process online bookings for. Seasonal 'Train Journey' events. e.g. 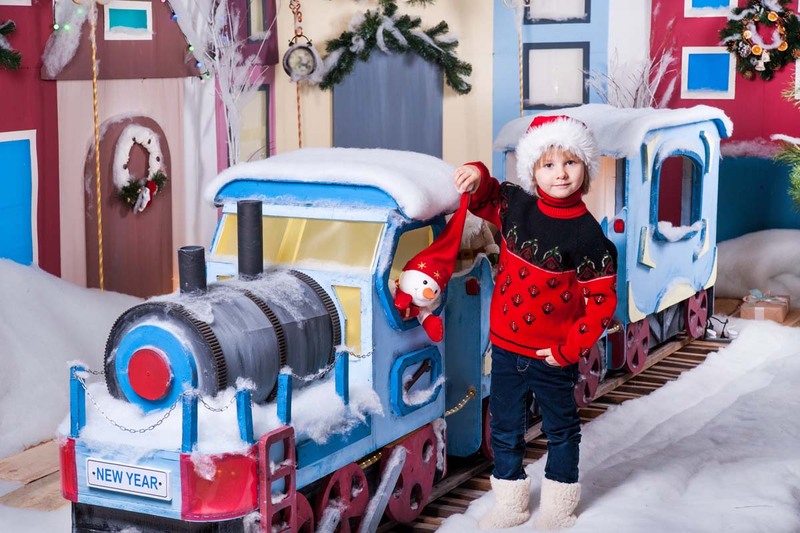 Santa train, Halloween Train, Easter Train etc. Classes & Lessons e.g. 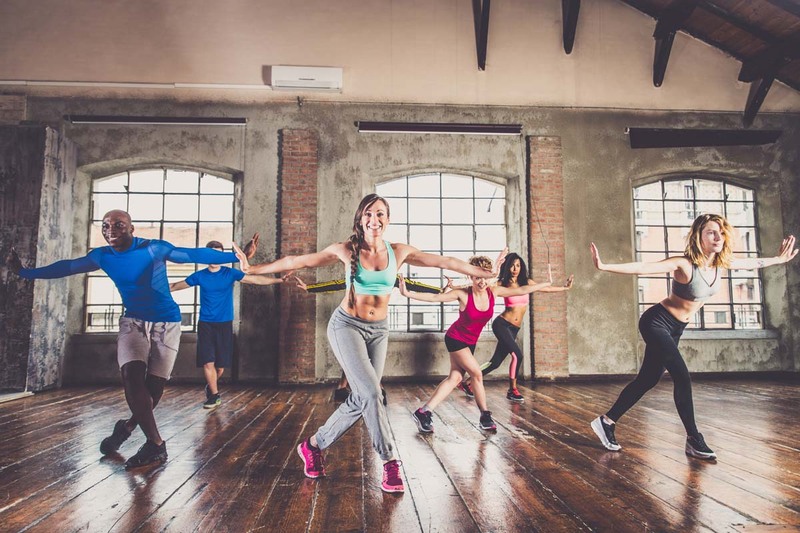 dance classes, fitness classes, music lessons etc. 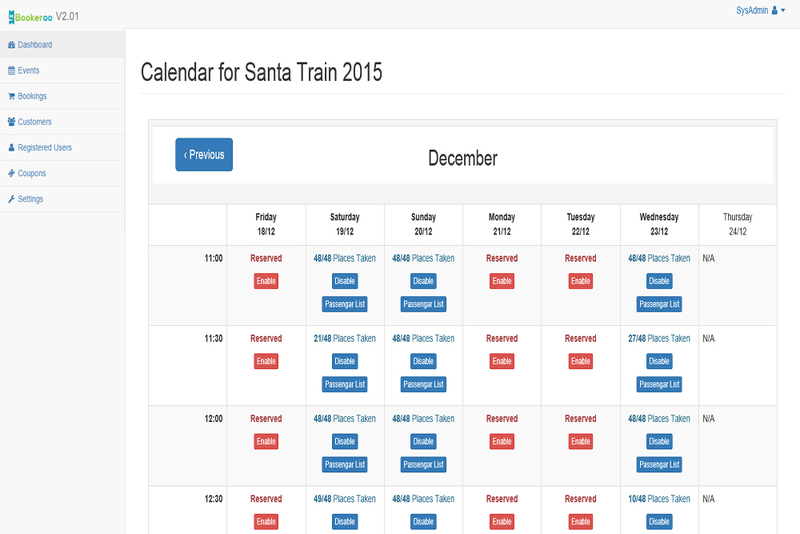 "For years we processed orders manually for our Halloween & Santa Train events and it was cumbersome and error prone. Bookeroo has freed us up to concentrate on the events. We found Bookeroo to be a life saver!" 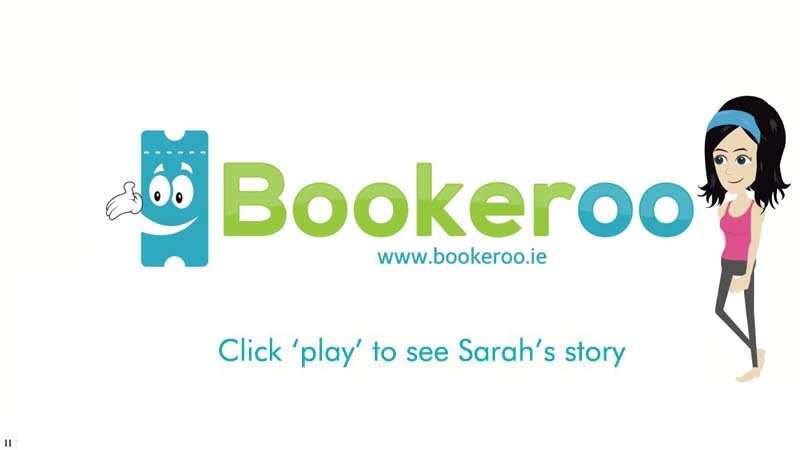 "We searched for ages before finding Bookeroo, the flexibility allowed us customise the customer experience during the ordering process. 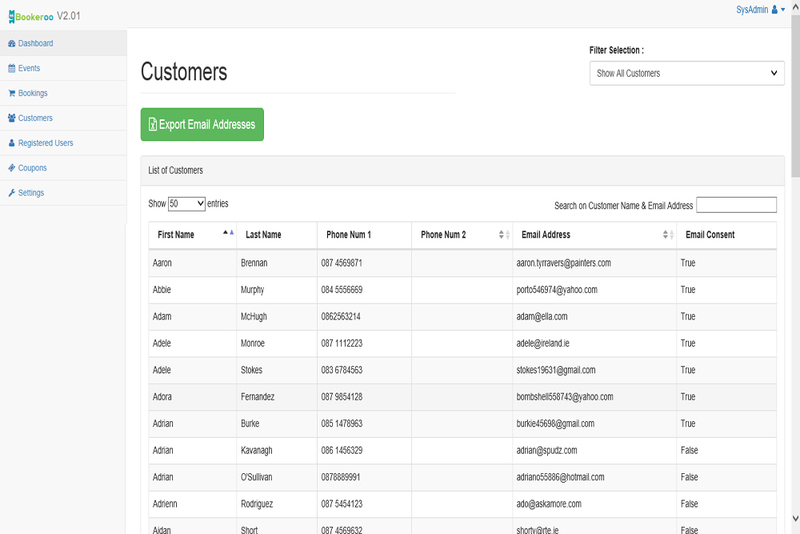 We also requested customised reports at the backend to get a better understanding of who our customers are." Don't be punished for being good at what you do! Let Bookeroo do the work for you.